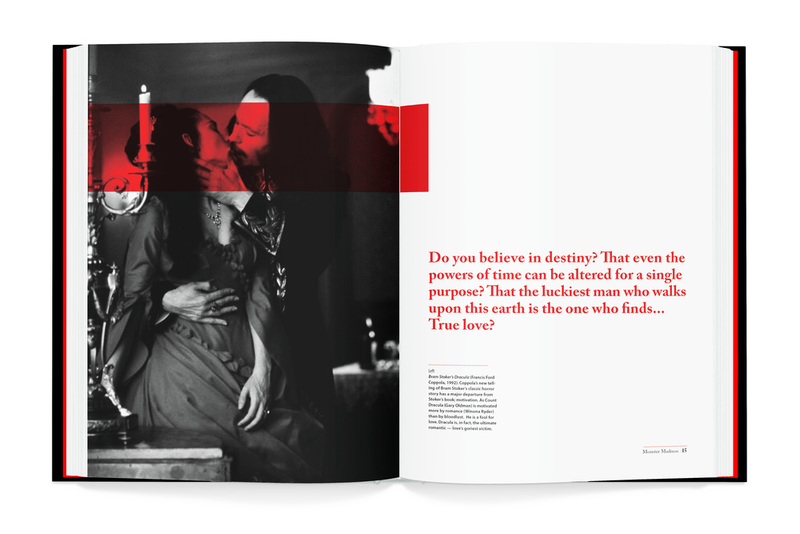 the brief / To redesign the layout of an existing coffee table book of our choosing. The new design had to include book cover, back cover, spine, table of contents, and eight book spreads. the reveal / I chose an older book called Monster Madness. It was poorly designed in both layout and typography, so it was a good challenge for me. The book deals with various movie monsters from old Hollywood films. 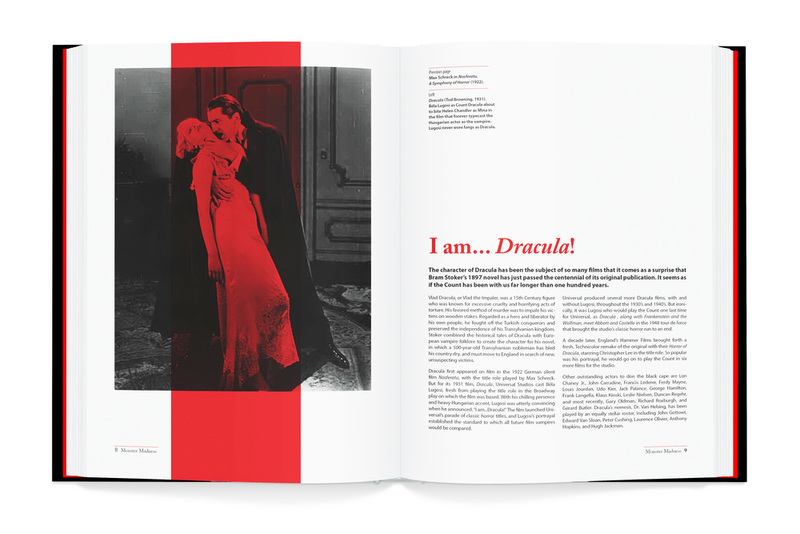 I mostly focused the spreads on the iconic figure of Count Dracula.